This autobiography is more than just a football story. Tony Fitzpatrick is undoubtedly one of the nicest guys in football, but behind the smiles and warm handshakes, he’s lived a life of hardship, heartache and tragedy. Tony played under the legendary Sir Alex Ferguson, who made the teenage Fitzy captain of St Mirren FC; went on to become a football manager himself and is now chief executive of St Mirren Football Club. In his autobiography, he tells the amazing story of his life from a childhood surrounded by poverty and violence, through making his way to the top of his football career, then working with some of the most violent Glasgow gang members as part of a groundbreaking police in initiative. He tells of the mistakes he made as a football manager trying to emulate his football mentor, Fergie; the humour that accompanies life in a football dressing room and how he reacted to the tragic death of his six-year-old son, Tony Jr. from cancer. Tony’s story will touch all your emotions and his autobiography is a fantastic read. 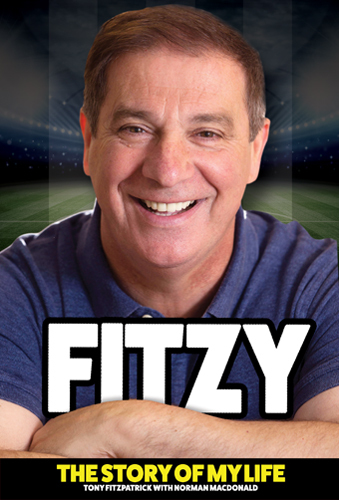 Click the link below and order your copy of Fitzy – The Story of My Life.